Keystone Quality Transport (KQT) was founded in 1994 in Delaware County, PA. 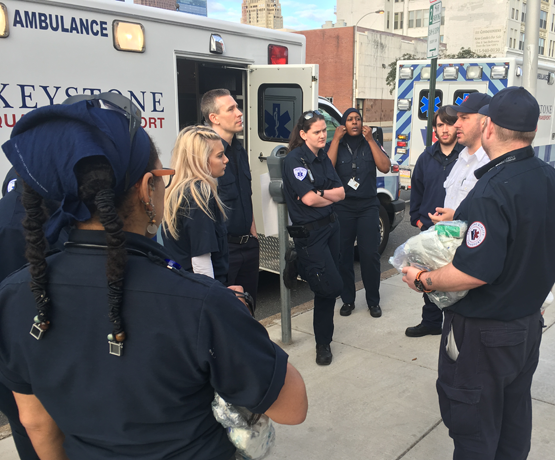 Since then, KQT has grown to over 400 dedicated employees with a fleet of 130 vehicles and has become the largest privately owned, locally operated ambulance company in the Commonwealth of Pennsylvania. We provide a variety of emergency and non-emergency ambulance, paratransit and dedicated shuttle services to hospitals, skilled nursing facilities, adult day care and behavioral health programs. Safety and customer satisfaction are paramount at KQT. Each year, we perform over 100,000 transports safely and efficiently, driving customer value and patient satisfaction. Understanding our customers’ expectations and constantly improving our processes and systems motivate us to innovate and respond with focus and dedication that is unrivaled in the Philadelphia marketplace.